Hierarchical Exploratory Factor Analyses of the Woodcock-Johnson IV Full Test Battery: Implications for CHC Application in School Psychology. Dombrowski, Stefan C.; McGill, Ryan J.; Canivez, Gary L.
Gilligan, Katie A.; Flouri, Eirini; Farran, Emily K.
As an FYI. 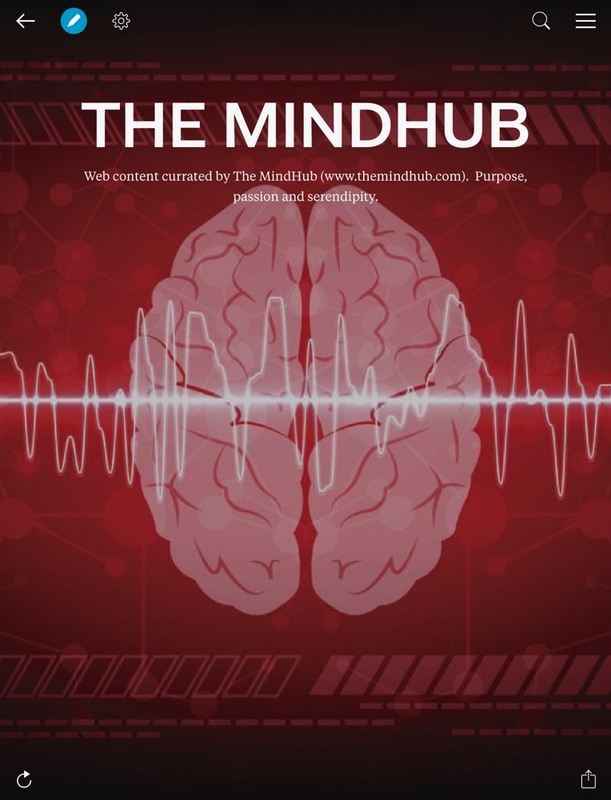 Aside from my blogs and Twitter, the MindHub (Dr. Kevin McGrew) also shares curated content via the MindHub Flipboard magazine. Introduction to Special Issue: "Current Perspectives on Neuroplasticity"
Pievsky, Michelle A.; McGrath, Robert E.
Developmental change in the influence of domain-general abilities and domain-specific knowledge on mathematics achievement: An eight-year longitudinal study. This was first published 7-10-17. A minor edit to the working memory capacity code (Wc and not WM) was made 7-20-17. Narrow abilities with bold font = major ability; regular font = minor ability. If all factor codes are regular font under a broad ability = insufficient data to classify as major or minor (Schneider & McGrew, in press). Italic narrow factor code font designates “tentative” abilities. Broad ability color codes (as per Ackerman et al.’s PPIK model of intelligence). Blue – Intelligence-as-process; Gray – Intelligence-as-knowledge; Green – Intelligence-as-Process (speed/fluency); Red = other tentatively identified broad abilities. Dr. Joel Schneider and I have recently submitted our new/revised Cattell-Horn-Carroll (CHC) theory chapter for publication in the 4th edition of the Flanagan and Harrison Contemporary intellectual assessment book (see reference above). Most of the CHC broad and narrow definitions did not change, some changed in minor ways, and others changed significantly. The rationale for changes will be presented in our chapter when the book is published. Here I present the abstracted up-to-date definitions. A PDF copy an be downloaded here. Be sure to purchase the book when it becomes available to learn more about the changes in some of the definitions and proposed revisions to CHC theory. Fluid reasoning (Gf): The use of deliberate and controlled procedures (often requiring focused attention) to solve novel “on the spot” problems that cannot be solved by using previously learned habits, schemas, and scripts. · Induction (I): The ability to observe a phenomenon and discover the underlying principles or rules that determine its behavior. This ability is also known as rule inference. · General sequential reasoning (RG): The ability to reason logically using known premises and principles. This ability is also known as deductive reasoning or rule application. · Quantitative reasoning (RQ): The ability to reason with quantities, mathematical relations, and operators. · Reasoning Speed (RE): The ability to reason with quantities, mathematical relations, and operators. · Piagetian Reasoning (RP): Seriation, conservation, classification and other cognitive abilities as defined by Piaget’s developmental theory. · Auditory short-term storage (Wa): The ability to encode and maintain verbal information in primary memory. · Visual-spatial short-term storage (Wv): The ability to encode and maintain visual information in primary memory. · Attentional Control (AC): The ability to manipulate the spotlight of attention flexibly to focus on task-relevant stimuli and ignore task irrelevant stimuli. Sometimes referred to as spotlight or focal attention, focus, control of attention, executive controlled attention, or executive attention. · Working memory capacity (WM): The ability to manipulate information in primary memory. Technically not a narrow ability (WMC = short-term storage + AC). Learning efficiency (Gl): The ability the ability to learn, store, and consolidate new information over periods of time measured in minutes, hours, days, and years. · Associative memory (MA): The ability to form a link between two previously unrelated stimuli such that the subsequent presentation of one of the stimuli serves to activate the recall of the other stimuli. · Meaningful memory (MM): The ability to remember narratives and other forms of semantically related information. · Free recall memory (M6): The ability to recall lists in any order. · Visualization (Vz): The ability to perceive complex visual patterns and mentally simulate how they might look when transformed (e.g., rotated, changed in size, partially obscured, and so forth). · Speeded rotation (SR): The ability to solve problems quickly using mental rotation of simple images. This ability is similar to Vz but is distinct because as it involves the speed at which mental rotation tasks can be completed. · Imagery (IM): The ability to voluntarily mentally produce very vivid images of objects, people or events that are not actually present. · Closure speed (CS): The ability to quickly identify and access a familiar, meaningful visual object stored in long-term memory from incomplete or obscured (e.g., vague, partially obscured, disguised, disconnected) visual cues of the object without knowing in advance what the object is. · Flexibility of closure (CF): The ability to identify a visual figure or pattern embedded in a complex distracting or disguised visual pattern or array, when one knows in advance what the pattern is. · Visual memory (MV): The ability to remember complex visual images over short periods of time (less than 30 seconds). · Spatial scanning (SS): The ability to quickly and accurately survey (visually explore) a wide or complicated spatial field or pattern with multiple obstacles and identify a target configuration or identify a path through the field to a target end point. · Serial perceptual integration (PI): The ability to recognize an object after only parts of it are shown in rapid succession. · Length estimation (LE): The ability to visually estimate the length of objects (without using measurement instruments). · Perceptual illusions (IL): The ability to not be fooled by visual illusions. · Perceptual alternations (PN): Consistency in the rate of alternating between different visual perceptions. · Perceptual speed (P): See definition under Gs. P has a secondary loading on Gv. Auditory processing (Ga): The ability to discriminate, remember, reason, and work creatively (on) auditory stimuli, which may consist of tones, environmental sounds, and speech units. · Phonetic coding (PC): The ability to distinctly hear phonemes, blend sounds into words, and segment words into parts, sounds, or phonemes. · Speech sound discrimination (US): The ability to detect and discriminate differences in speech sounds (other than phonemes) under conditions of little or no distraction or distortion. · Resistance to auditory stimulus distortion (UR): The ability to hear words or extended speech passages correctly under conditions of distortion or background noise. · Maintaining and judging rhythm (U8): The ability to recognize and maintain a musical beat. · Memory for sound patterns (UM): The ability to retain (on a short-term basis) auditory codes such as tones, tonal patterns, or speech sounds. · Musical discrimination and judgment (U1 U9): The ability to discriminate and judge tonal patterns in music with respect to melodic, harmonic, and expressive characteristics (phrasing, tempo, harmonic complexity, intensity variations). · Absolute pitch (UP): The ability to perfectly identify the pitch of tones. · Sound localization (UL): The ability to localize heard sounds in space. Comprehension-knowledge (Gc): The ability to comprehend and communicate culturally-valued knowledge. Gc includes the depth and breadth of both declarative and procedural knowledge and skills such as language, words, and general knowledge developed through experience, learning and acculturation. · Language Development (LD): An intermediate stratum ability to comprehend and communicate using language. The general understanding of spoken language at the level of words, idioms, and sentences. · Lexical knowledge (VL): The knowledge of the definitions of words and the concepts that underlie them. Vocabulary knowledge. · General (verbal) information (K0): The breadth and depth of knowledge that one’s culture deems essential, practical, or worthwhile for everyone to know. · Listening ability (LS): The ability to understand speech. This ability starts with comprehending single words and increases to long complex verbal statements. · Communication ability (CM): The ability to use speech to communicate effectively. · Grammatical sensitivity (MY): The awareness of the formal rules of grammar and morphology of words in speech. Domain-specific knowledge (Gkn): The depth, breadth, and mastery of specialized declarative and procedural knowledge (knowledge not all members of a society are expected to have). The Gkn domain is likely to contain more narrow abilities than are currently listed in the CHC model. · General science information (K1): The range of scientific knowledge (e.g., biology, physics, engineering, mechanics, electronics). · Knowledge of culture (K2): The range of knowledge about the humanities (e.g., philosophy, religion, history, literature, music, and art). · Mechanical knowledge (MK): Knowledge about the function, terminology, and operation of ordinary tools, machines, and equipment. · Foreign language proficiency (KL): Similar to language development (see Gc) but in another language. · Knowledge of signing (KF): The knowledge of finger spelling and signing (e.g., American Sign Language). · Skill in lip reading (LP): Competence in the ability to understand communication from others by watching the movement of their mouths and expressions. Reading and writing (Grw): The depth and breadth of declarative and procedural knowledge and skills related to written language. · Reading comprehension (RC): The ability to understand written discourse. · Reading decoding (RD): The ability to identify words from text. · Reading speed (RS): The rate at which a person can read connected discourse with full comprehension. Also listed under Gs. · Writing ability (WA): The ability to use written text to communicate ideas clearly. · Spelling ability (SG): The ability to spell words. · Writing speed (WS): The ability to copy or generate text quickly. Also listed under Gs and Gps. · English usage (EU): Knowledge of the mechanics of writing (e.g., capitalization, punctuation, and word usage). Quantitative knowledge (Gq): The depth and breadth of declarative and procedural knowledge related to mathematics. The Gq domain is likely to contain more narrow abilities than are currently listed in the CHC model. · Mathematical knowledge (KM): The range of general knowledge, not performance of mathematic operations or the solving of problems. · Mathematical achievement (A3): Measured (tested) mathematics achievement. Retrieval fluency (Gr): The rate and fluency at which individuals can access information stored in long-term memory. · Ideational fluency (FI): The ability to rapidly produce a series of ideas, words, or phrases related to a specific condition or object. · Expressional fluency (FE): The ability to rapidly think of different ways of expressing an idea. · Associational fluency (FA): The ability to rapidly produce a series of original or useful ideas related to a particular concept. · Sensitivity to problems/alternative solution fluency (SP): The ability to rapidly think of several alternative solutions to a practical problem. · Originality/creativity (FO): The ability to rapidly produce original, clever, and insightful responses (expressions, interpretations) to a given topic, situation, or task. · Speed of lexical access (LA): The ability to rapidly retrieve words from an individual’s lexicon. Verbal efficiency or automaticity of lexical access. An intermediate stratum level ability. · Naming facility (NA): The ability to rapidly call objects by their names. · Word fluency (FW): The ability to rapidly produce words that share a phonological (e.g., fluency of retrieval of words via a phonological cue) or semantic feature (e.g., fluency of retrieval of words via a meaning-based representation). · Figural fluency (FF): The ability to rapidly draw or sketch as many things (or elaborations) as possible when presented with a nonmeaningful visual stimulus (e.g., a set of unique visual elements). · Figural flexibility (FX): The ability to rapidly draw different solutions to figural problems. · Perceptual speed (P): An intermediate stratum level ability that can be defined as the speed and fluency with which similarities or differences in visual stimuli (e.g., letters, numbers, patterns, etc.) can be searched and compared in an extended visual field. · Perceptual speed-compare (Pc): The speed and fluency of looking up and comparing visual stimuli that are side-by-side or more widely separated in an extended visual field. · Number facility (N): The speed, fluency and accuracy in manipulating numbers, comparing number patterns, or completing basic arithmetic. · Reading speed (fluency) (RS): The speed and fluency of reading text with full comprehension. Also listed under Grw. · Writing speed (fluency) (WS): The speed and fluency of generating or copying words or sentences. Also listed under Grw and Gps. Reaction and decision speed (Gt): The speed of making very simple decisions or judgments when items are presented one at a time. · Simple reaction time (R1): Reaction time to the onset of a single visual or auditory stimulus. · Choice reaction time (R2): Reaction time when a very simple choice must be made. · Inspection time (IT): The speed at which differences in visual stimuli can be perceived. · Semantic processing speed (R4): Reaction time when a decision requires some very simple encoding and mental manipulation of the stimulus content. · Mental comparison speed (R7): The reaction time required when stimuli must be compared for a particular characteristic or attribute. Psychomotor speed (Gps): The ability to perform skilled physical body motor movements (e.g., movement of fingers, hands, legs) with precision, coordination, fluidity or strength. · Speed of limb movement (R3): The speed of arm and leg movement. This speed is measured after the movement is initiated. Accuracy is not important. · Writing peed (fluency) (WS): The speed at which written words can be copied. Also listed under Grw and Gps. · Speed of articulation (PT): The ability to rapidly perform successive articulations with the speech musculature. · Movement time (MT): The time taken to physically move a body part (e.g., a finger) to make the required response, after a decision or choice has been made, in an elementary cognitive task. Psychomotor abilities (Gp): The ability to perform skilled physical body motor movements (e.g., movement of fingers, hands, legs) with precision, coordination, or strength. The Gp domain is likely to contain more narrow abilities than are currently listed in the CHC model. · Manual dexterity (P1): The ability to make precisely coordinated movements of a hand or a hand and the attached arm. · Finger dexterity (P2): The ability to make precisely coordinated movements of the fingers (with or without the manipulation of objects). · Static strength (P3): The ability to exert muscular force to move (push, lift, pull) a relatively heavy or immobile object. · Gross body equilibrium (P4): The ability to maintain the body in an upright position in space or regain balance after balance has been disturbed. · Multilimb coordination (P6): The ability to make quick specific or discrete motor movements of the arms or legs. · Arm-hand steadiness (P7): The ability to precisely and skillfully coordinate arm–hand positioning in space. · Control precision (P8): The ability to exert precise control over muscle movements, typically in response to environmental feedback (e.g., changes in speed or position of object being manipulated). · Aiming (AI): The ability to precisely and fluently execute a sequence of eye–hand coordination movements for positioning purposes. Olfactory abilities (Go): The ability to detect and process meaningful information in odors. The Go domain is likely to contain more narrow abilities than are currently listed in the CHC model. · Olfactory memory (OM): The ability to recognize previously encountered distinctive odors. Tactile (haptic) abilities (Gh): The ability to detect and process meaningful information in haptic (touch) sensations. It includes perceiving, discriminating and manipulating touch stimuli. Currently there are no well-supported narrow Gh cognitive ability factors. Kinesthetic abilities (Gk): The ability to detect and process meaningful information in proprioceptive sensations. Currently there are no well-supported narrow Gk cognitive ability factors within Gk. Emotional intelligence (Gei): The ability to perceive emotions expressions, understand emotional behavior, and solve problems using emotions. · Emotion perception (Ep): The ability to accurately recognize emotions in the face, voice, and behavior. · Emotion knowledge (Ek): Knowledge of the antecedents of emotions and the consequences of emotional expression. · Emotion management (Em): The ability to regulate one’s emotions deliberately and adaptively. · Emotion utilization (Eu): The ability to make adaptive use of emotion, especially to facilitate reasoning.